Rebecca began her Kellogg career in 1997 as a Nutrition Communications Co-ordinator after training as an exercise physiologist and Dietitian. Throughout her 20 years with Kellogg she has used her skills learnt as a Dietitian – that of translating complex science into behaviour change messages – to drive innovative communications while adapting to the every changing communication vehicles that are available to use. 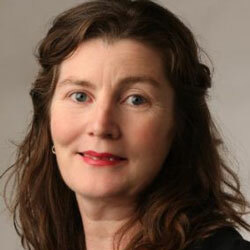 Ms. Boustead is a member of the Asia Pacific Association of Communications Directors, the Australian Institute of Company Directors, the Dietitians Association of Australia, the Nutrition Society of Australia, Sports Dietitians Association of Australia, and the Academy of Nutrition and Dietetics in the US. She holds a Bachelor of Applied Science – Human Movement from Royal Melbourne Institute of Technology, Masters in Nutrition & Dietetics from Deakin University, Certificate in Marketing Management from the Australian Institute of Management and a graduate of the Australian Institute of Company Directors. Improving farmer’s livelihoods and solving morning hunger are two critical strategies to help to reduce hunger and improve human potential. According to the Food and Agricultural Organization of the United Nations (FAO), the Asia Pacific region still has 490 million hungry people in their midst, more than any other region. Through this paper we will explore innovative programs that are increasing productivity and resiliency of farmers in our supply chain by advancing practices that help them produce using fewer resources and reduce post-harvest food loss to boost yields and income. The paper will show case programs from Thailand, Bangladesh and Australia that have created impact for Rice and Potato Farmers. The paper will also explore a new model of creating social change to solve morning hunger. In spite of the importance of childhood nutrition and significant progress in the last 25 years, global childhood hunger is still widespread. Every year, 3.1 million children die (8,500 children per day) due to poor nutrition globally. In the developing world alone, 66 million children of primary school age go to school hungry. Research shows, insecurity in childhood can limit a child’s cognitive and socio-emotional development, and therefore long-term productivity and economic potential. The paper will showcase programs from India, Australia and South Africa that are beginning to have an impact as well as present a new collaboration model to drive social change and create even more impact. Ultimately improving agricultural practices and reducing morning hunger are two key strategies that can create a spark to help transform social and economic conditions in countries.